Sometimes, you’ve been so used to something being one way that it never occurs to you that something better is out there. Some things are just made the way they are, right? The sky is blue. Houses are square. Beds are flat. A flat bed is one of those things we don’t think about, but trust us, there’s something better. Adjustable beds can help you with a lot of different things, not just sleep. They can help with body pain, blood pressure, and other health issues, and sometimes, they’re just fun. 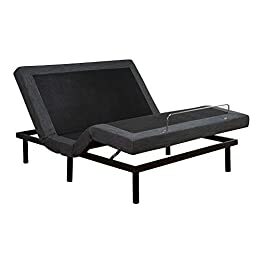 We’ve compiled a list of some of the best adjustable beds, and if you keep reading, we’ll tell you some things to look for when choosing an adjustable bed that’s right for you. Let’s take a look at the list. Our first adjustable bed isn’t only adjustable. It features all the modern technological advances plus everything you’d expect from an adjustable bed. It has six legs to support a frame designed to withstand 1000 pounds. There’s no need for a box spring. Just put your adjustable bed friendly mattress on top, and you’re ready to go. The bed itself can be adjusted three, six, and nine inches above the floor. It has brackets at the head so that you can attach a headboard. You can articulate the bed with the head or the feet up, or both, and it also features something called a zero gravity position. This position is a lot like sleeping in a recliner. It raises the feet and legs taking pressure from the lower back during sleep. You can also lay everything flat. There’s a foot retainer to prevent the mattress from moving during positioning. It comes with a wireless remote control and two USB ports built directly into the bed. It also has a massaging feature with several different massage options including wave and targeted massage. It comes needing assembly, so make sure that you can assemble the heavy unit or have someone with you who can do it. The wireless remote also might need to be paired, something you can find instructions for on YouTube. 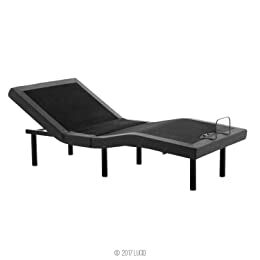 The Lucid adjustable bed base offers positioning with several different head and feet options. Twin and Queen options hold up to 750 pounds, and you can use it with any adjustable bed friendly mattress. There’s minimal assembly due to the hinge feature that both makes assembly easier and shipping cheaper. The most intensive part is screwing in the legs. Basically, it arrives ready to go. It’s designed to fit up to a wall without damaging it during adjustments. Feet can be adjusted up to 45 degrees, and the head can be adjusted up to 60 degrees. You can program your favorite positions into the wireless remote. It has four USB ports, two located at the headboard on either side of the bed. It doesn’t have an anti-snore feature, but because you have control over the degrees of raise in both the feet and head, it offers some good positioning. If you sleep on your side, it’s possible to raise the head slightly while keeping the feet flat to continue sleeping on the side. It’s only available in a twin XL and a queen, but it’s possible to put two twins together to make a king if need be. It has a ten-year warranty. 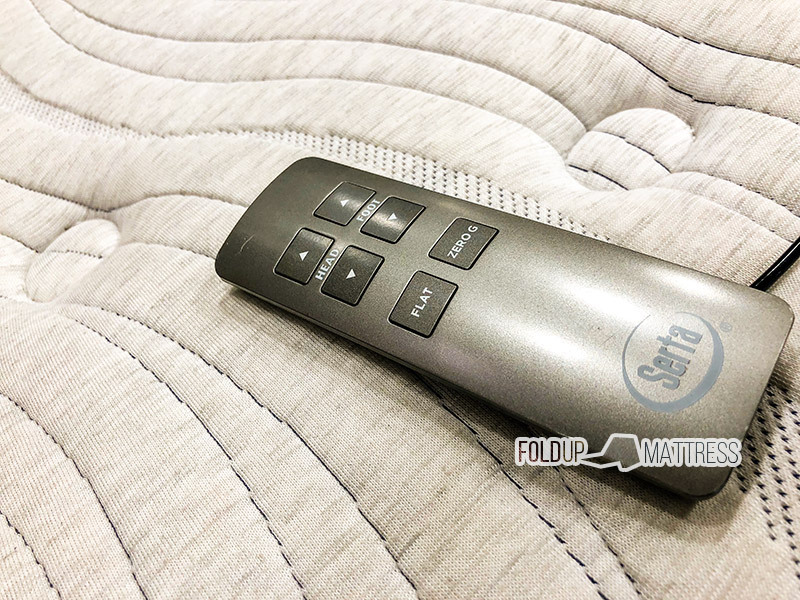 Sealy features an entry level adjustable base that offers customizable head and foot positions. Head can be raised up to 60 degrees, and the feet can be raised up to 50 degrees. It’s simple to assemble, and you can add it to an existing bed base or place it directly on the floor with the included nine-inch legs. It comes in a full range of sizes and comes fully assembled except the legs. It has a wireless remote that allows you to adjust the bed anywhere in your room. You can set presets for your favorite positions so you can return there automatically. It also has a bed flat button to return to the flat position quickly. The remote also has an LED light so you can see when things are dark. It doesn’t have USB ports included on the bed, but it is made to lay next to a wall and be adjusted without damage. It’s possible to attach a headboard, but the brackets are sold separately. It does have a mattress retention bar to prevent the mattress from sliding around during adjusting. The motor is quiet, and it can hold up to 650 pounds. Hofish’s adjustable bed is a full-featured, already assembled bed that comes ready to use. It supports a maximum weight of up to 750 pounds with a nearly silent, reinforced motor. 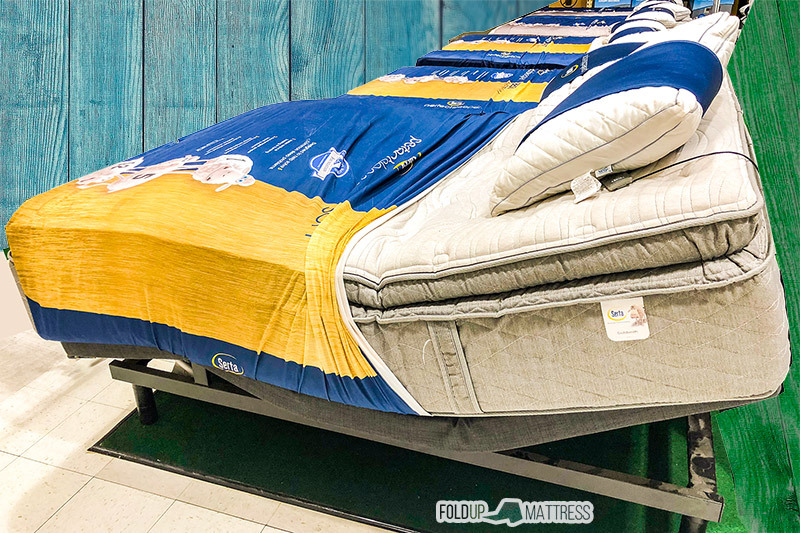 One added feature of the bed is anti-crushing technology that doesn’t put any pressure on the objects under the bed to help prevent injury to pets or children. It has a wireless remote that can be programmed with preferred settings and it’s backlit to help you see even in the dark. It also has two USB ports near the headboard for charging devices. It doesn’t have a retainer bar, but the nonslip grip at the base keeps the mattress in place during adjustment. The base is made from high-end materials including eucalyptus wood for the slats at the base. Its modern design fits into any home decor. It has a flat button that will return the bed to a flat position even in the event of a power outage. The AC adaptor is safer to use during storms and prevents damage from power surges. It has two heights of legs but doesn’t feature anti-snore positioning. The Reverie is another feature-rich bed that has all the positions and technology for a modern adjustable bed. It has an upholstered deck on deck for a modern, clean look. It has four retainer bars at the corners to keep the mattress in place during adjustment. It has many different adjustment features. You can raise the head or feet or both. It has a zero gravity position to take pressure off the spine and increase breathing capability. It also has anti-snore options. It comes with a full suite of massage options. You can choose a wave function to change the intensity and location of the massage feature. There are ten intensity levels, whole body massage options, and four different wave modes. All are quiet. The remote is wireless and backlit. It includes programming options and individual foot and head control functions. It has an optional Bluetooth integration that works with your smartphone. You can program it to raise you up to wake you up. It also turns on the under the bed nightlight. 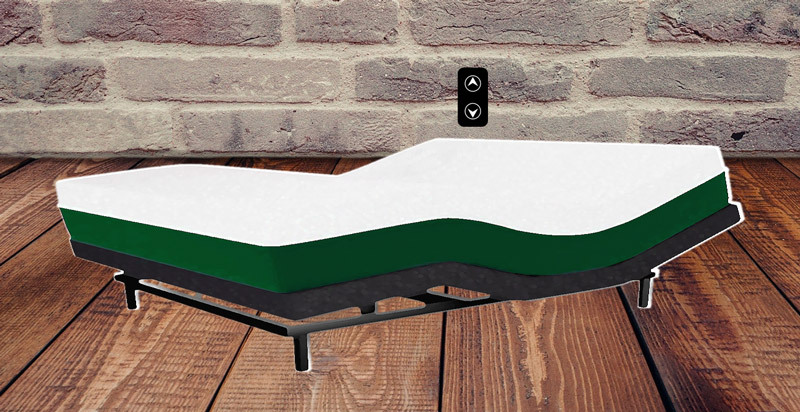 It’s compatible with all adjustable friendly mattresses and supports up to 850 pounds. It requires some assembly upon arrival. The Pragma is a simple head and foot adjustable bed frame that provides a range of adjustments. It’s a powder-coated metal frame with feet caps to prevent damage to the floor. It offers 80-degree articulation at the head and 30 degrees at the foot. It doesn’t require any tools for assembly and can be folded up for storage. The motor is quiet, and it comes in a variety of sizes, including a split king. You can purchase a linking package if you don’t have a split mattress. It doesn’t come with Bluetooth, and it isn’t a wall hugger, but this isn’t a big deal for the price point. It’s sturdy and supports around 300 pounds for the twin options and 600 pounds for the queen and king options. It doesn’t offer zero gravity positioning, but anyone needing head or feet raised in a simple remote system will be pleased. It can be folded up completely to fit in the trunks of most cars for transportation or just for storage. It’s not just about sleep. An adjustable bed helps take pressure off points along the spine that cause pain while sleeping. Relieving these pressure points increases the quality of your sleep and aids your breathing. It can help lower blood pressure and reduce acid reflux. If you’ve had surgery recently, it ensures you don’t roll or twist during your sleep, so you’ll heal more efficiently and are less likely to retear incisions. 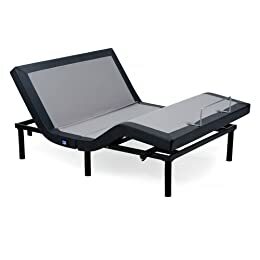 If you’ve had trouble with chronic pain due to old injuries or painful, conditions, adjustable beds help remove the pressure and position you so that you feel less pain overall. They are nearly essential for those with chronic conditions. Before you make any decisions, you need to take a look at how two fundamental pieces of an adjustable bed work: the motor and the remote. Each of these is something you don’t have to worry about on a traditional bed, and you might not know exactly what you’re looking for. There are two basic kinds of a motor. AC motors run most household items while DC is used in many automobiles. AC motors are bigger, and they aren’t as quiet, but work well and are more durable. DC motors are smaller and quieter. If the sound is essential to you, you might want to find one that features a DC motor. The controls for the bed are also divided into two basic options. Beds have either a wireless or a corded remote control. If you choose a wireless remote, the upside is that it’s operable from anywhere. It gives you a little freedom for you or a caregiver to adjust the bed from different locations. You won’t have to worry about placing the bed in such a way to avoid the cord or prevent ease of use. The downside is that if you lose the remote, you won’t be able to adjust the bed. You might also have issues pairing the remote with the bed if it runs on Bluetooth. Having a corded remote isn’t as mobile. You’ll have to make sure that you can still reach the remote easily where the bed is placed and that it isn’t in the way. The upside is that you’ll never lose a corded remote and there’s nothing to pair with Bluetooth. Another issue to consider about the remote is the control itself. When you look at the remote, are the buttons intuitive and straightforward to use? You won’t want to fumble with confusing controls while trying to adjust the bed. It’s always helpful to have a remote capable of either storing preset adjustments or coming with recommended positions directly through one button controls. You won’t have to think too hard to find the exact position you like, even if you’ve been experimenting with others. 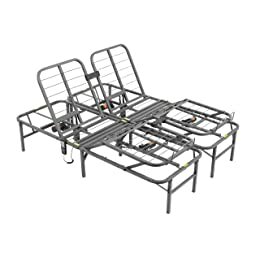 Adjustable bed frames come in a variety of styles. Some are powdered metal and feature just a bare frame with the motor attached underneath to move the components. These are simple and often fold up for transport or storage. Other types are upholstered and feature a deck on deck design. These look like higher end pieces of furniture, and you do not need to cover any part of the base. The mattress fits right on top with the base acting as a box spring. Some are made to fit into an existing bed frame. 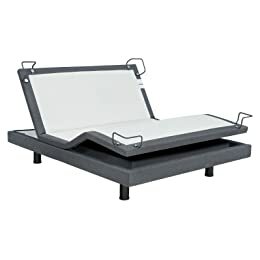 The adjustable base has legs for extra support, but slips inside your bed frame or attaches to just a headboard with brackets. 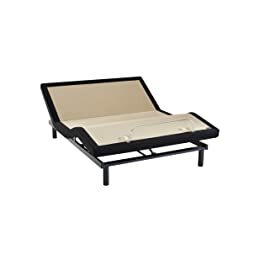 If you travel a lot or don’t plan to use the bed as your primary bed, the foldable metal frame is a better choice. If you need a permanent bed fixture, you might enjoy the look of the upholstered base. If you just want to adjust your mattress but you already have a bed set you like, finding one that fits inside an existing frame or attaches to your headboard might work the best. Which adjustable bed do you plan to purchase? Do you need a full suite of options or something simple and travel ready? Let us know in the comments below!